Home Amravati British firm India Indian Railways Maharashtra Mumbai Shakuntala express train Shakuntala Express Still Pays Royalty to British! Shakuntala Express Still Pays Royalty to British! Indian Railways is an integral part of our lives as we cannot imagine a life without it. Killick-Nixon Company, a British-owned company gets an annual royalty of Rs 1.20 crore from Indian Railways for running a passenger train, Shakuntala on the narrow gauge in the Amravati district of Maharashtra. There are only a few railways that are privately owned in India, and Shakuntala Express is the only train that belongs to a British firm. This British Company was set up in 1857, created the Central Provinces Railways Company to act as its agent. This company built the narrow gauge in 1903, to carry cotton from Achalpur to the mainline to Mumbai, from where it would be shipped to Manchester. This independent railway does not come under the Indian Railways, so technically the Indian Railways does not enjoy a monopoly. Indian Railways has been incurring financial losses in running the train. Hence Indian Railways has closed few stations only to cut costs. Shakuntala runs in the remote cotton-growing areas of the Amravati division, in Maharashtra. The four-hour journey from Yavatmal to Murtijapur covers a distance of 189 km which cost Rs 22. The tracks are owned by the British Company which laid them in the nineteenth century. The Shakuntala Express does just one return journey a day, as the Central railways can only afford one round trip, per day. The operations are carried out by seven staff, as they manually carry out all the railway activities, from detaching the engine, to signaling and ticket sales. 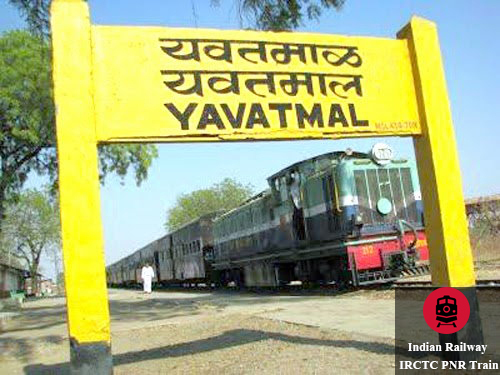 The train might not be popularly known all over the country, but for the people of Yavatmal and Achalpur (Amravati) it is the only lifeline and is also a political issue to be kept live. 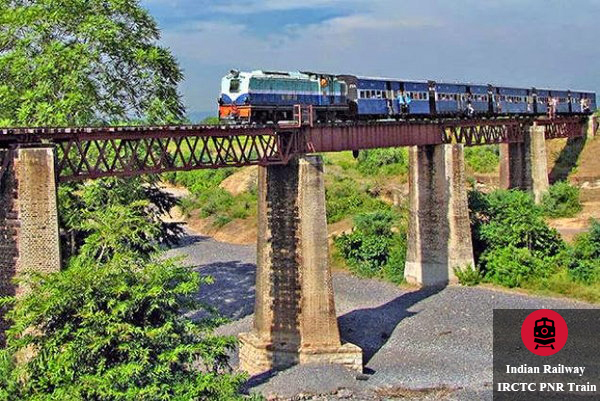 The train crosses a 100+ years old bridge near Achalpur when it moves at a speed of 5 km/hr. There are several interesting facts to know about this train. To rehabilitate 189 km of the track, Indian Railways has to spend at least Rs 1,890 crore. If the train is irregular, passengers travel by road at five times the cost. Shakuntala Express is India’s only British owned train. Indian Railway’s nationalization goes back to 1951 but Shakuntala Express is the only railway that is still not owned by India. A steam engine built in Manchester in 1921, pulled the train for 70+ years which was finally replaced by a diesel engine in 1994. Indian Railways is not keen to run the train due to the losses it is incurring at the moment. An opportunity to travel in this train will give you a glimpse of how exactly the nineteenth century would have felt and looked like. The train travels through the cotton growing areas of Maharashtra and the sight is immensely beautiful. It is the last piece of colonial railway legacy. Shakuntala Railway the only privately owned railway might become part of history after 10 years. With the old rusty steam engine, a ride on the Shakuntala Express will truly remind you of an era gone by!